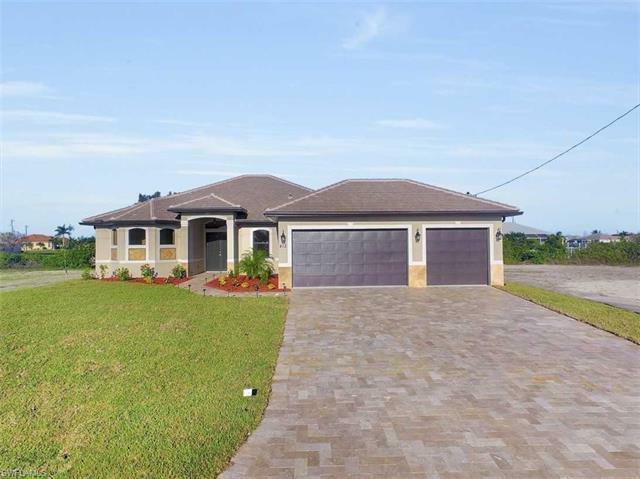 2515 Gleason Pky, Cape Coral, FL.| MLS# 218047147 | Southwest Florida Residential Real Estate for Sale. Modern New Construction, Palermo Model Built-in 2019. AMAZING LOCATION This 4 Bedroom, 3 Bath, 3 Car Garage home boasts 4100 Sq Ft Under Air. The split Floor Plan with a Great Room Concept Makes This Home Perfect For Growing Families or a Retirement Retreat. Option One Builders Always Makes Sure to Choose the Finest Materials and Finishes. with a full 1/10 Year Warranty. Why buy used when new is so affordable. Built by a builder who cares, We Currently Have 10 Other Homes Under Construction, Agents ONLY CALL THE APPOINTMENT PHONE NUMBER. PLEASE READ CONFIDENTIAL REMARKS. Pictures are from a different house but same Model With Many More Upgrades, Colors May Vary. Home Will be ready in approximately 3 weeks, CALL FOR DETAILS TODAY! !